Los Osos Community Services District board member David Vogel moved outside of the district, making him ineligible to remain in office. 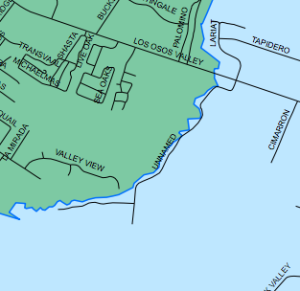 Vogel moved to a house on Cimarron Way, which is just outside the southeastern district boundary, according to a San Luis Obispo Local Agency Formation Commission map. “I had no clue it was out of the district,” Vogel said Sunday. Vogel told CalCoastNews that he moved into the Cimarron Way home about two days ago. Vogel is a personal injury attorney, who has a practice in San Luis Obispo. He has been serving on the Los Osos Community Services District Board of Directors since 2010, and his term expires next year. Former Los Osos board member Julie Tacker said Vogel was a bright, articulate and committed representative of the district. “I’m sorry that Los Osos is going to lose his representation,” Tacker said. Vogel recently moved to Los Osos from Washington State, where he served on a community council from 1986 to 2000. He also served terms on a household board and a school board. Those of you who reside in glass houses (you know who you are) should really refrain from throwing stones. There is no room for me to respond under your last reply Julie, so I will have to answer here. I have had no contact with Mr. Vogel; I have no idea what his wishes would be regarding the mode of his stepping down. A formal statement as a press release from the CSD would do. He might want to say something personal to the public as he has has a lot of public support. I have no idea. I also have NO idea if anyone plans on running again. None of this speculating has a thing to do with the manner his move and subsequent mandatory resignation has been revealed to the public. Re-read David’s post, don’t take my word for it. BTW, how many Brown Act permitted “emergency meetings” has the CSD ever held since you are in to detail both here and in Oceano? I have never seen any agency use the Emergency Meeting, I do not recall if Paso did right after the San Simeon earthquake, but that’s the type of situation one would use if for. The point is; Vogel could not participate. He’s no longer a director. OK, question answered. A highly unlikely event which you brought up. And no one said that he SHOULD participate in a meeting other than me, to resign gracefully. The point of my protest here was the ambushing of Mr. Vogel, by whom and why. If certain parties knew he was moving out of the district, why did they not warn him? He still might have moved, but he could resign someplace other than an online outlet, where from his words above, it was clear he was ambushed. There would be motive by some to NOT tell Mr. Vogel, in order to have the opportunity to fill that vacant seat. Clearly you want to blame someone for something. Don’t you think a Director should know the boundaries of the district he’s elected to serve in? No one should have to “warn him” he should have already known. Too bad for Los Osos all the way around. I apologize for my snarky comment to Mr. Friedman who called me on a Sunday morning and seemed intent on uncovering a scandal. I was shocked that within less than two days after closing escrow, I was being accused of some sort of misconduct. I enjoyed serving the community as a Director, and enjoyed the meetings (despite my comment). One of the reasons I moved to the Cimarron address was that I wanted to keep within the District, and it was very close to my previous residence. Athough the new address is served by the Fire DIstrict, it appears to be outside LAFCO’s boundaries. I hope whomever the Board chooses to replace me will continue to take a pragmatic approach to the position and will work well with a very good Board of Directors. Hi David, don’t you wonder who was tracking you? I do, and I wonder why too. Are you suggesting that if no one “caught” the move, David should still serve while living outside the district? That WOULD be “scandalous”. The boundaries are black and white. It is very unfortunate that David wasn’t fully aware of them and that no colleague or the GM made him aware. It was well known that he as moving. I, for one, will miss David’s contribution as a board member. Please stay engaged. Perhaps you could serve on the ESAC (bylaws would need changing), but it seems appropriate to have a representative from Zone 9-I on the committee. At some point even the Utility Committee bylaws should change to include anyone living in the basin. I was merely wondering how Mr. Friedman was tipped off that Mr. Vogel had moved. Or where he moved to. Did you tell him? Or Mr. Margetson? Just wondering. The moment he moved he became ineligible to serve. Who tipped the press is irrelevant. So Lynette you want to reveal a source of CCN and you were “just wondering” ? A number of people in slo county maintain lists of voters, contributors, commenters/facebook and more. It all about politics in a small county and some bullies and haters. So Lynette who would you tell if you knew? How long before that info was in many inboxes? If this was a person who cared about persons other than themselves, i.e. cared about Mr. Vogel’s feelings, then they would not have blabbed this story to a reporter, but would instead have notified the CSD Board (IF this informant did not know Mr. Vogel personally), and if this person did know Mr. Vogel personally, they would have told him, personally. Then Mr. Vogel could have resigned at the next board meeting gracefully instead of ambushing him with the news in a phone call from a reporter that publishes a story about him now having to resign. That’s what I would have done if I knew about the boundaries and knew that Mr. Vogel was moving out of the boundaries. All would have been legal, but in a kind, non-suspect-of-politics way. I doubt our brand new GM would know this information, or assume that Mr. Vogel was himself unaware, if she did know. I don’t have any idea what the Board would know and neither do you. Since I know who “Julie” is here, and I know who “dsvogel” is here on this comment section, and I do not know who you are kettle. So perhaps you are unaware that the last time the Board needed to fill a vacant spot, there was a personal bid by a certain “Julie” to be named to be the fill-in CSD director. If she is the person who “spilled the beans” to the reporter, it would look pretty crass and underhanded if she suddenly puts her name up again to fill the vacant director’s spot, don’t you think kettle? However, failing to bid for a spot on the Board, and since she knew he was moving and where the boundaries were, it just looks mean if “Julie” was the source. And why would she be mean to Mr. Vogel when she says, “I, for one, will miss David’s contribution as a board member,” and “Perhaps you could serve on the ESAC (bylaws would need changing).” Hmmmm. Maybe she wasn’t too happy with some of his votes on the Board? So you see, WHO was the source is quite important kettle. I see, so you are out to get Julie and out any sources to your list of friends. As for “cared about Mr. Vogel’s feelings” “why would she be mean” ” it looks cruel on her part ” This is all about your feelings for Julie not facts, feelings. This is personal not politics. If he moved out of the area it would have been discovered at some point because it is quite important. If you can punish the messenger publicly perhaps they won’t do it again. This is one of the reasons the campaign committees and politicians keep naughty and nice lists that are shared between them. This is what fuels the bullies, this is part of why elected officials were trying to find out where the CCN reporters live. This is the very reason reporters don’t give up sources. Also asking for what you will never get is a troll and a ad hominem attack. I have a “list of friends?” Well, I’ll have to go check to see if I can find where that is. If my friends read stuff here and on my blog, then that’s where they find stuff out! No one is saying Mr. Vogel should not step down, just that the manner in which he was exposed for moving was exploitive and unnecessary. That Julie was the only person interviewed to comment when there are 4 other board members, a GM, and many other CSD-attending citizens, that fact makes it suspect too. I wasn’t asking Friedman. Julie answered my questions. You truly are “Sewertoons” — a kin to Looney. Mr. Freidman told me Vogel had moved outside the district. I work in real estate; saw the Palomino Vogel home get listed on the MLS some months ago. Thus, knew he would be moving. I did not know when or where to. Where he moved to was his choice. It was his responsibility to know the boundaries of the district. It is also the GM’s responsibility to know that basic fact. Board members do not get the choice of “resigning at the next board meeting gracefully”. Once they move out of the district boundaries they are no longer eligible to serve, period. You are the one being “mean,” making up a scenario that is completely unfounded. Why don’t you put in for the vacancy? Subject yourself to the criticism a board member does. I admire all of David’s service, to Los Osos and to the many other board’s he’s sat on. Must be “fun” for David to find out who is tracking his movements on an online news venue. Oh, the unanswered questions! You seem to be critical of our new GM and the CSD board for NOT informing him of the boundaries, yet you, in real estate as we find out here, AND, as a former board member, you did not manage to casually mention anything about this to David even though you frequently talk to him after CSD meetings? Really – it’s all THEIR fault? As there are NO board meetings OR committee meetings between when he moved and the next CSD meeting on January 9, how waiting to make an announcement at the beginning of the meeting and then stepping down is wrong somehow, that just makes no sense at all. No need for me to put in to fill the board vacancy when I can get plenty criticism right here and yelled at while a public speaker at CSD and LOCAC meetings! For someone who has been “tracking” me for the last 9 years, you’re not very good at it Lynette. What do you mean you just learned we were “in real estate”? What do you think we do? You have been ever critical of so called conflicts when I went to work for Jeff as an Environmental Consultant for his real estate/land use company. Additionally, if you had been watching me so closely and who I speak to after LOCSD meetings, you’ll notice I generally speak to Seitz, not Board members. I left the Dec. meeting before it was over. This article isn’t about me. David moved out of the district trough no fault of mine. Again, I’m sorry to see him go. As for yelling at you, I have never done that. I have laughed at the things you’ve said, but, hey, it’s your right to say them. Lynette, being a Board member is a 24/7 position (an Emergency Meeting could be called at any time in a disaster or other emergency and decisions needing to be made from such). One can not just wait until the next board meeting to give up the seat. The seat is vacant now. David is welcome to attend and make any kind of statement he wants from the podium, I would invite him to do so, but he’s no longer eligible to be a board member. Let’s start with the math. 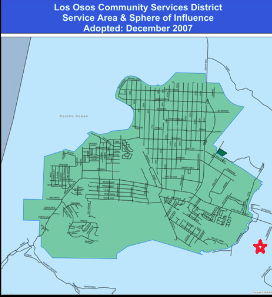 I arrived in Los Osos in 2005. I began attending CSD meetings in 2006. That’s seven years. I will leave spelling out of this. Unless the CSD Board thinks that we need a meeting right now to deliberate filling that seat, what exactly is your point? Had the GM or Board been notified of Mr. Vogel’s move instead of an ambush in the news, all of this would still be the same. Well, I guess I wasn’t watching you closely enough to tally the times you spoke to board members or Mr. Seitz, Seitz presumably taking the most hits. Julie, I really have no idea what you do job-wise these days other than what I see in the news. Prior however, I was a member of a shocked audience when CSD attorney Julie Biggs revealed an 11-page legal briefing for you detailing how you had to recuse yourself from the proposed sale of Tri-W to Jeff Edwards, your employer. Was getting him that property part of your job? News reports find you trying to disqualify Morro Coast Audubon Society from accepting land they had been granted, trying to stop solar panels on local schools, and “chipping-gate,” that is really all that I know. Just like you to revise history. Revise history? How about revising the Board Bylaws to include the one-hour Emergency Meeting? I looked hard but really couldn’t find a reference to this sort of meeting, one with NO public notice. The date to suggest revisions to the bylaws is coming up soon – February being the month it was done in 2012 and 2013. I suggest that you bring this up so that it can be included. In any case, this does not preclude an agenda item on any type of meeting to allow Mr. Vogel to step down. Check the Brown Act for Emergency Meeting Lynette — Duh! I only mention Emergency Meeting because there are rare circumstances that would trigger one. Vogel would not be eligible to serve in that case, should one be held prior to their next meeting on Jan. 9 (note meeting to be held on the second Thurs, rather than the bylaw stated first Thurs., due to holiday conflict). Has any board member publically resigned from the podium or dais that you recall? None to my recollection. The Los Osos directors that have resigned did so off camera, on their own terms; i.e. Frank Frieler 2004 and Maria Kelly 2010. I have also witnessed half a dozen resignations over the last 4 years at the Oceano CSD, none has been agendized. Is Vogel asking for an agenda item? Why do you keep advocating for one? The Board will “accept” the resignation, not that they have a choice. The agenda item we will see come forward will be a discussion related to how to handle the vacancy — by either Special Election or appointment. My guess is they’ll appoint due to the high cost of an election (SLO City paid $60K for theirs this year to seat Carlan Christiansen to replace Andrew Carter) and the term is so short — the term is up for reelection in Nov. Do you know if Vogel was planning on running again? What about Baltimore and Moothart? All three seats are due. Maybe someone should tell Bruce Gibson where the 2nd District is. Paso Robles is not in the 2nd District. Bruce hasn’t lived in the 2nd District for a long time. How does a Board member not know where the district boundary lies? Now he “doesn’t have to go to those meetings.” He didn’t care and there is no crime in that. He did care! That was obvious if you ever attended an LOCSD meeting! That is an out of context quote. But speaking from personal experience, the meetings can be tough to bear as mostly there is just moaning and groaning about how horrible everything is, especially the sewer project. It gets painfully tiresome. Some folks don’t get that the squeaky wheel gets tuned out and that honey draws flies, not vinegar. Maybe someone should ask Bruce Gibson that question. 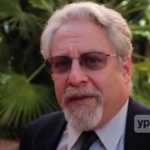 The citizens of Los Osos were well served by David Vogel … his leadership will be missed. I am sure that the Los Osos Board will choose a new member of as high a calibre as David. Mr. Vogel … best of everything for the future … thanks for your quality service. Of course he moved out of the district, he sees the writing on the wall. I disagree Maxfusion, as I take your comment to be a negative one. On the contrary, now that the bankruptcy has concluded, the District can begin to focus of the the work of preserving our water supply along with the other purveyors. If you have not read the Draft Basin Plan, you should, there is a lot of work to be done. I am sorry about Mr. Vogel having to resign from the board, I hope he will continue to be involved with the community. He is a really, really smart and a very caring person who has worked hard on our behalf.